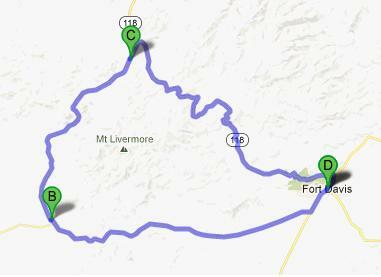 Today is day 15 of my 5000+ mile, 17 day motorcycle ride… Larry T., Larry A. and myself have been riding together for 14 days seeing some of the most scenic parts of the western US. 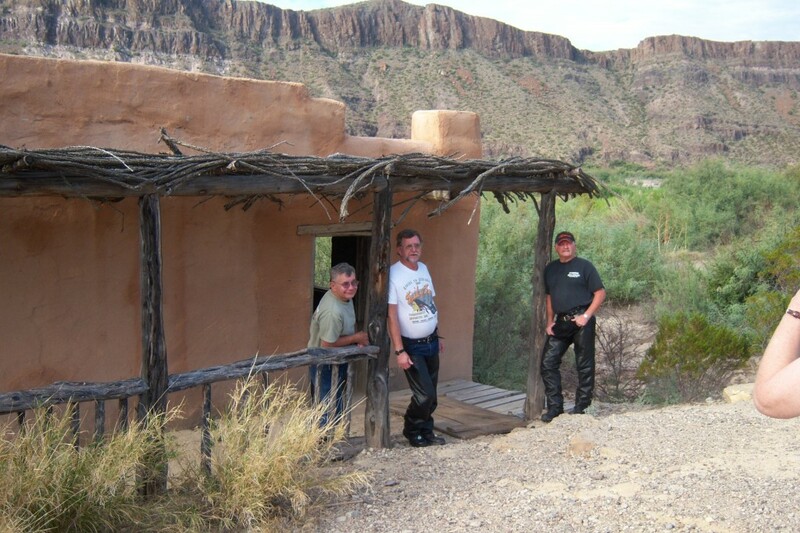 We met up in Canyon, Texas, then rode US-60 to Payton, Arizona. 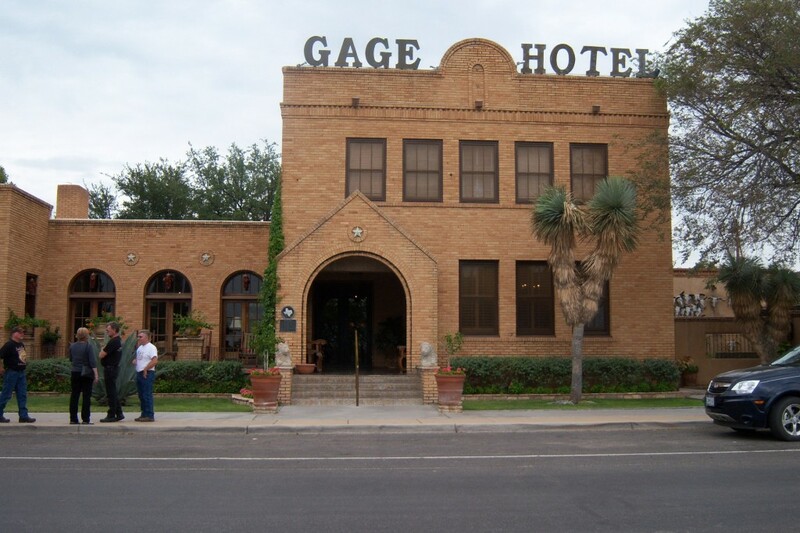 On day 5 we turned onto US-89 just north of Prescott, AZ and followed it all the way to Great Falls, Montana, visiting the Grand Canyon National Park, Bryce Canyon National Park, Salt Lake City, Grand Teton National Park and Yellowstone National Park. From Great Falls we back tracked a bit to Yellowstone National Park before heading east via US-212 thru Beartooth Pass and on to Billings, MT. 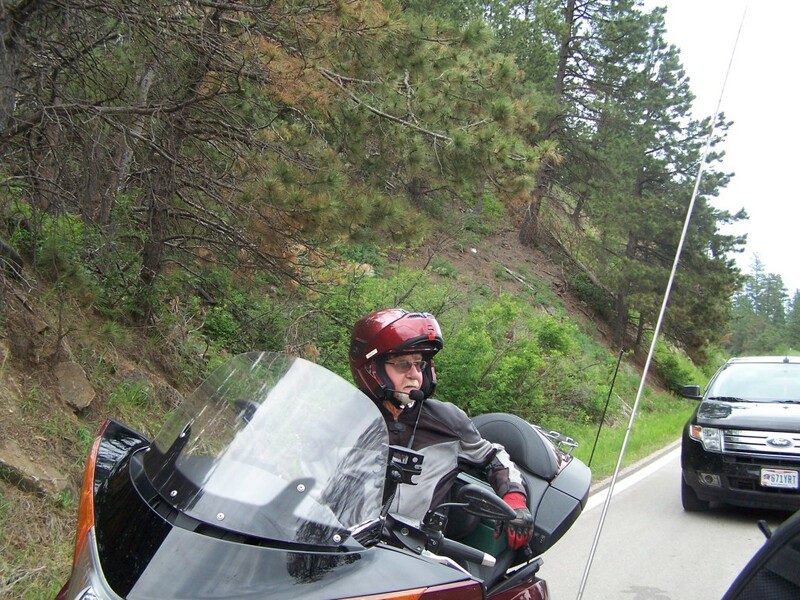 From Billings we rode to Devils Tower via US-212 before continuing on to Spearfish, SD. It was nice being back to Spearfish. 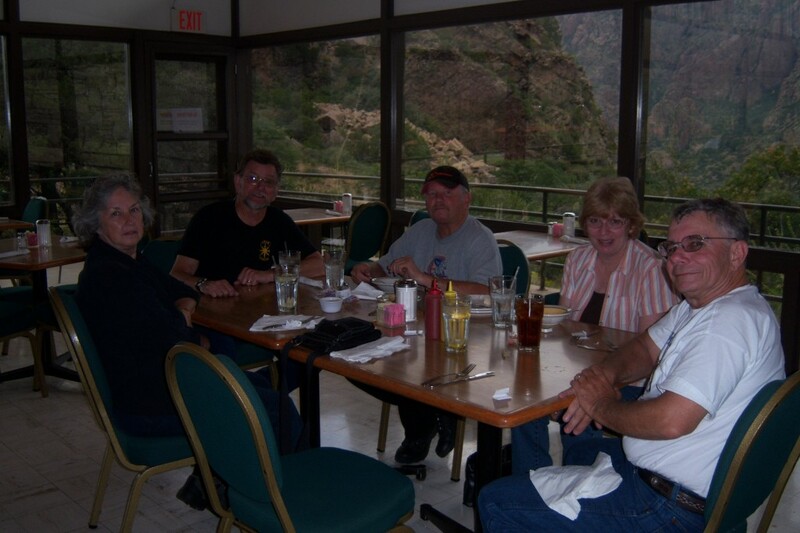 Seven years ago we were here on our “Mount Rushmore National Park Motorcycle Ride”. Spearfish is a small town of just over 10,000 people. Like many towns out west, Spearfish was started because of mining in the area. It was originally called Queen City and supplied foodstuffs to the area mining camps. Today, truck farming and market gardening is done in the vicinity. 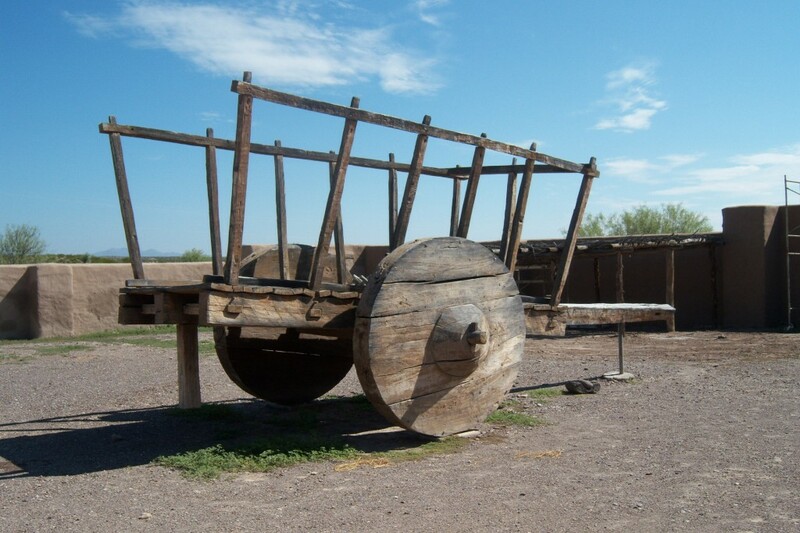 Now the history of Spearfish is tied very closely to mining and tourism. 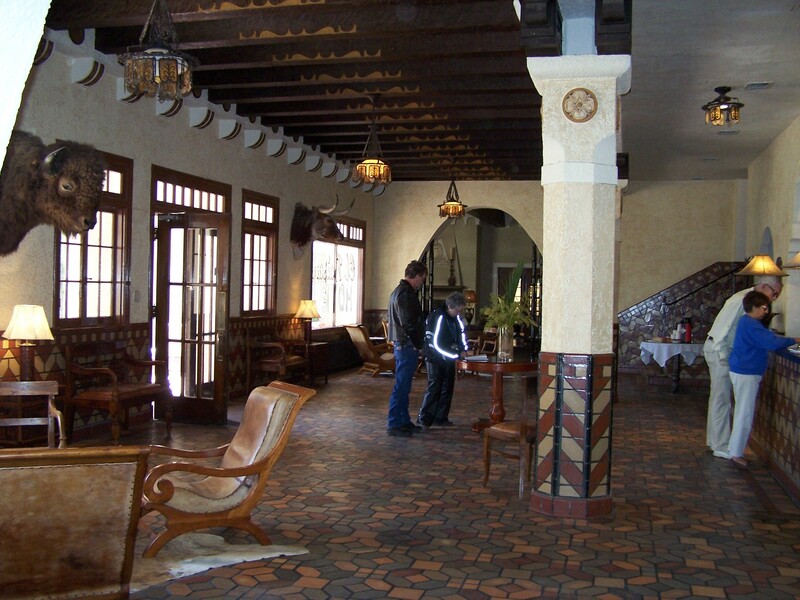 Spearfish is a year-round adventure retreat. Many areas of the Black Hills shutdown during the winter season but Spearfish has many activities no matter which season you visit! In the spring, Spearfish Creek and the waterfalls in the canyon are flowing full from the run-off of melting snow. During summer there are all kinds of outdoor adventures from hiking, biking, fishing, geocaching, motorcycling and many more! Fall brings cooler temperatures but the area grows even more beautiful as the fall foliage beings to pop. Winter offers great snow activities including snowshoeing, skiing, snowboarding, snowmobiling, and much more! 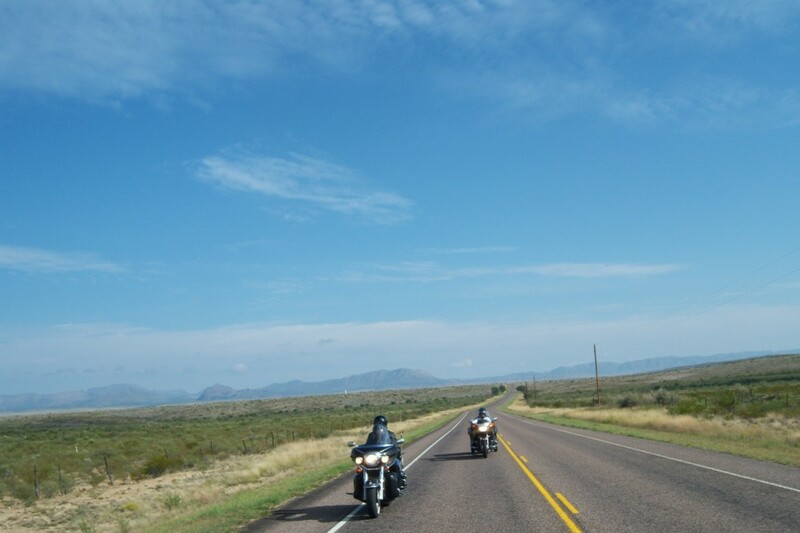 This morning is another beautiful riding day with the temperature in the low 60’s. The sky was clear with a few thin, high clouds. This is a bit warm for June, but not bad… It did get pretty warm (unseasonably warm) as the day progressed, but that has been the norm for this ride. 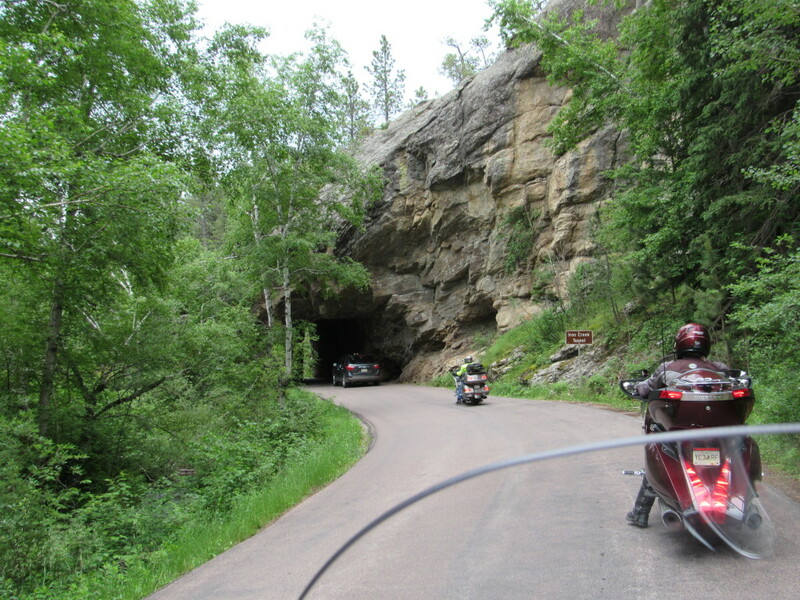 We will be riding through Spearfish Canyon. 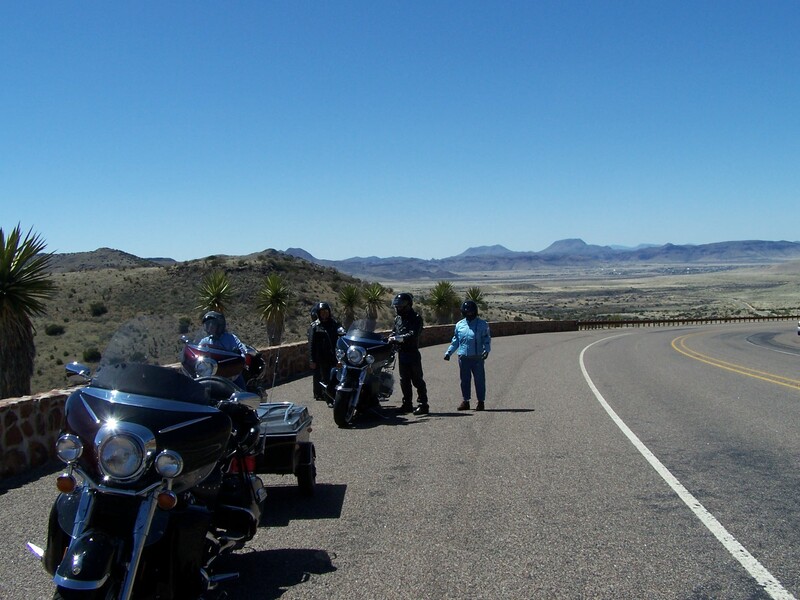 Today, like rides in the past years, it was nice winding our way through some of the most breathtaking scenery. 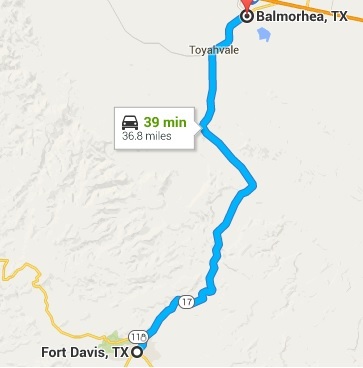 It’s twenty miles upward through natural beauty and unique scenery, ending at Cheyenne Crossing at the intersection of Highway 85. 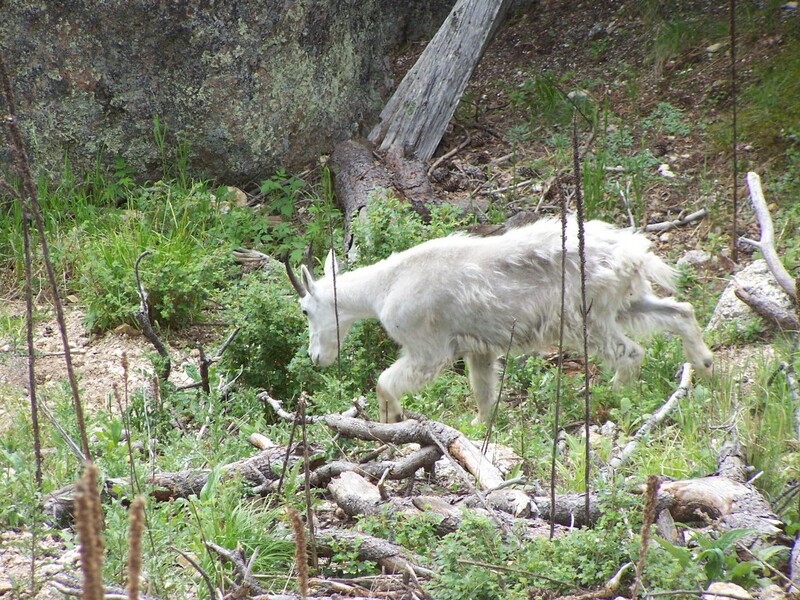 Weather conditions in the canyon varies with the elevation as you climb about 2,000 feet between Spearfish and Cheyenne Crossing. 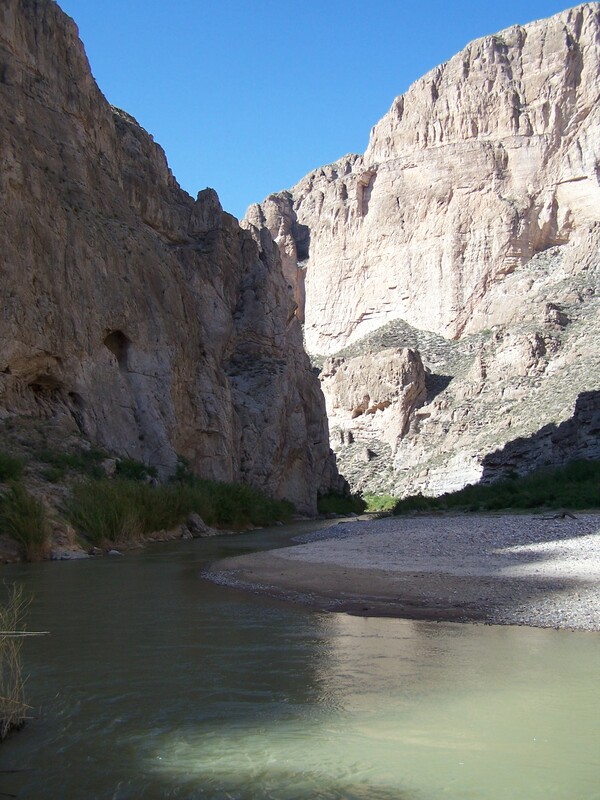 The canyon is lined with thousand-foot-high limestone cliffs on both sides of Highway 14A as it winds through the canyon. Spearfish Creek flows through the canyon. 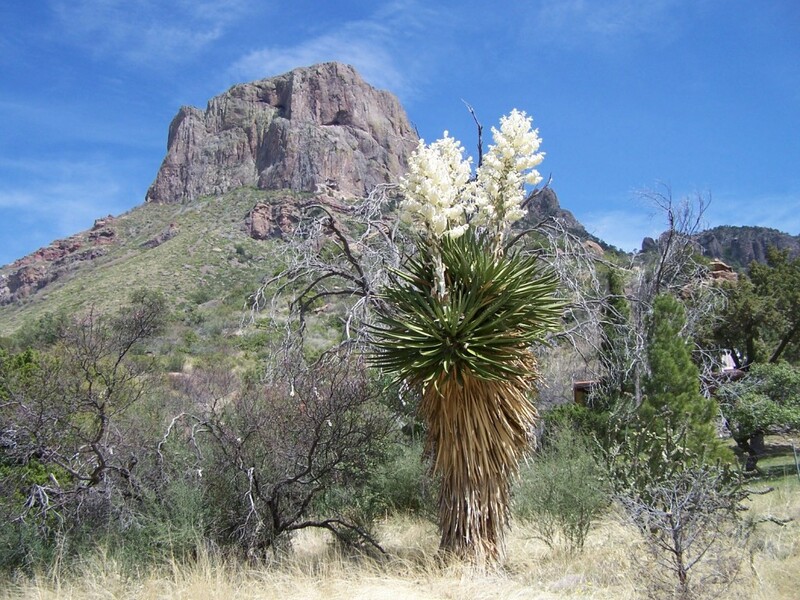 Keep an eye out for Bridal Veil Falls and Roughlock Falls as they are popular stops. 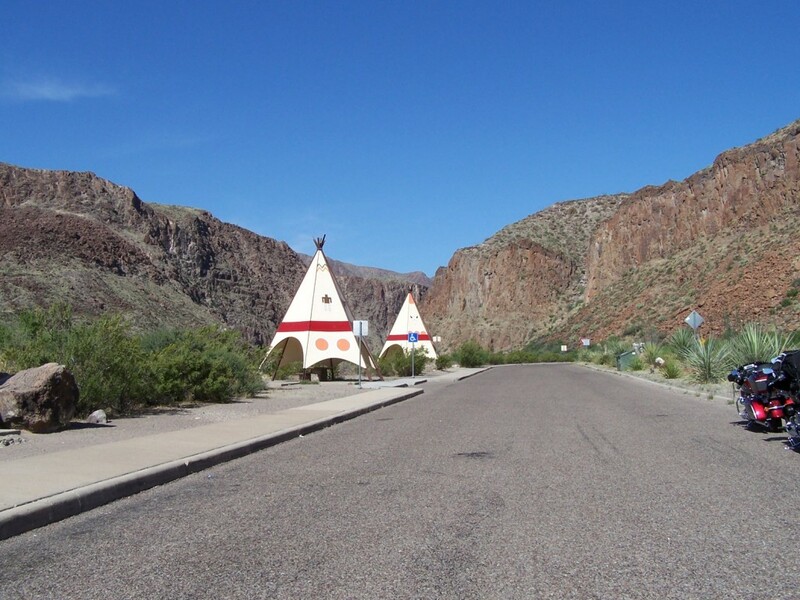 The speed limit in the canyon is 35 miles per hour, but you may find some motorist driving slower as they take in the beauty of the canyon. 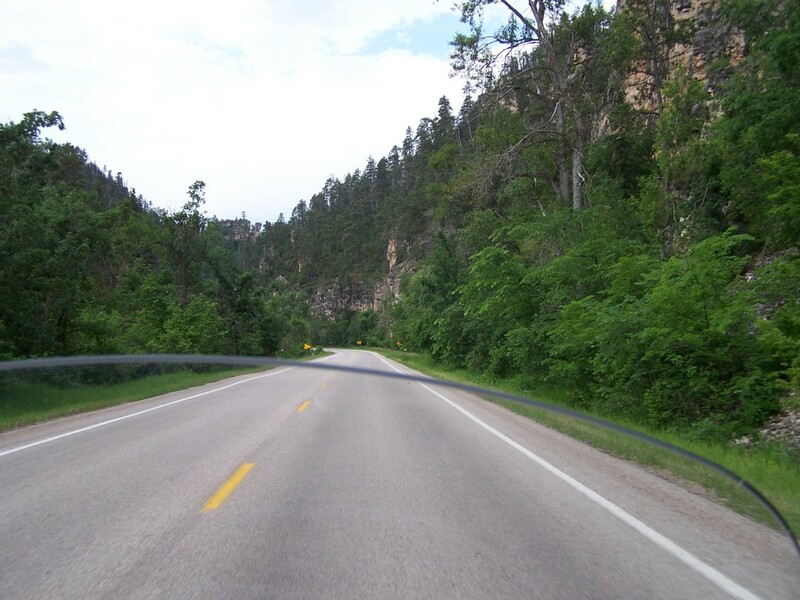 Leaving Spearfish Canyon, we turned north onto US-85 and rode a short distance to US-385. 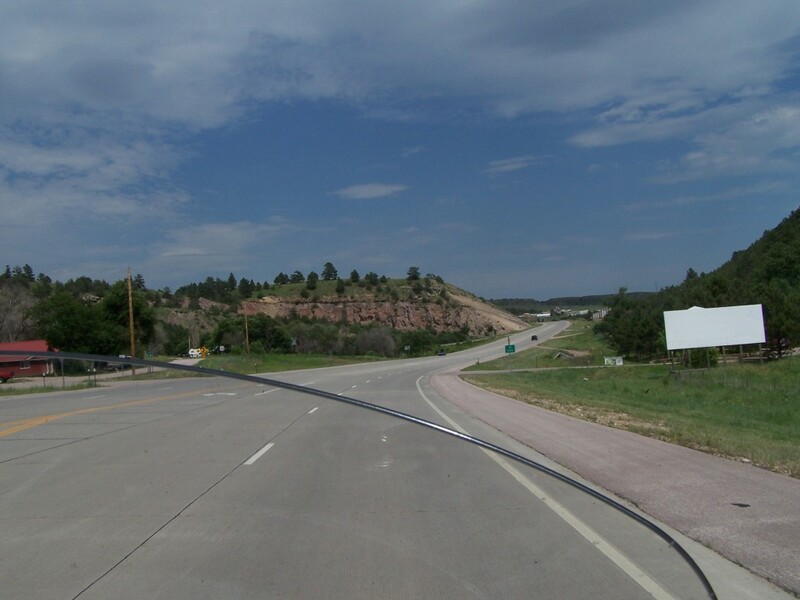 US-385 is called the Black Hills Parkway. 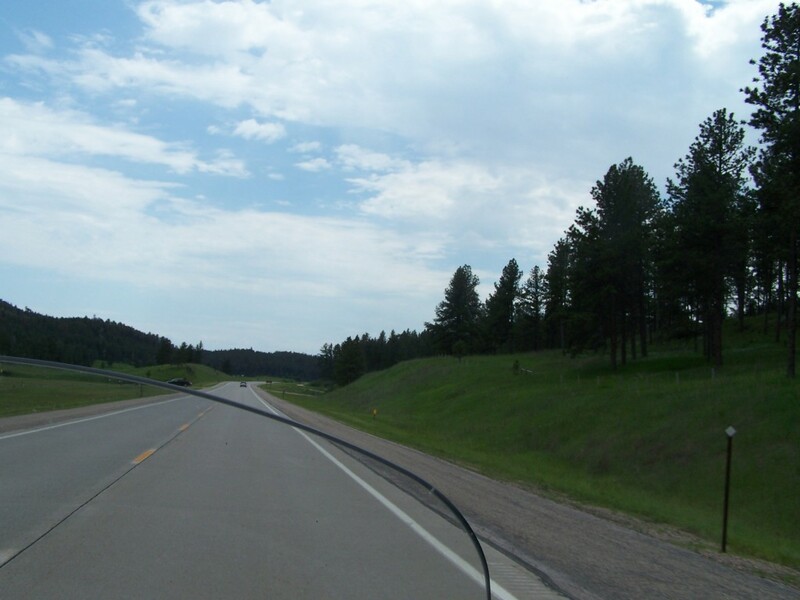 As you travel through the heart of the hills, US-385 rambles through the Black Hills National Forest with dense Ponderosa pines and panoramic views of mountain lakes. From US-385 we rode the Needles Highway. 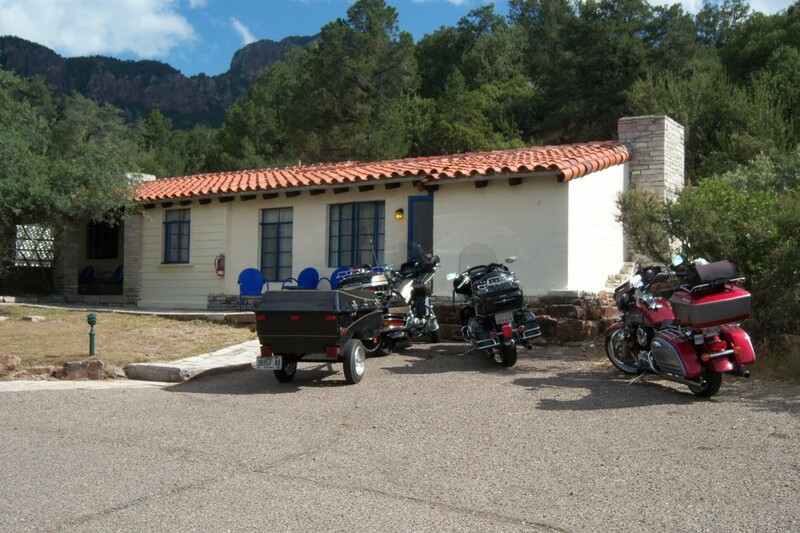 Needles Highway is a National Scenic Byway and was almost not built because critics thought it was impossible to build because of its 14 miles of sharp turns and low tunnels. The highway is named for the high granite “needles” it winds through. 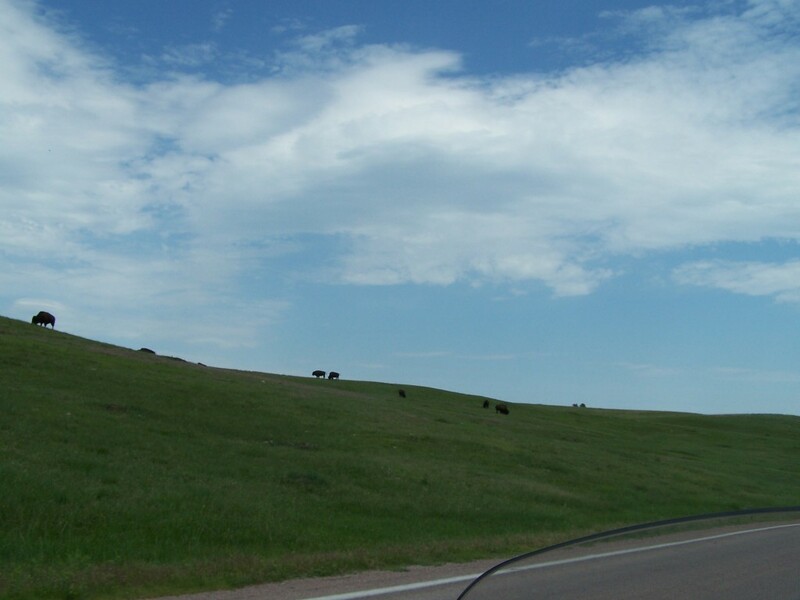 Parts of the highway are also part of Custer State Park’s Wildlife Loop so there is an entrance fee for the park. There are some really tight hairpin curves and one of them was at least 180 degrees or more. 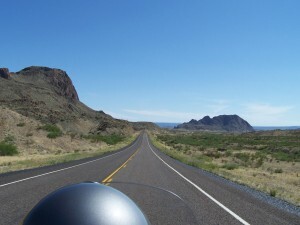 It is a great motorcycle road but is a bit narrow with a few rough spots but in better condition than it was seven years ago. 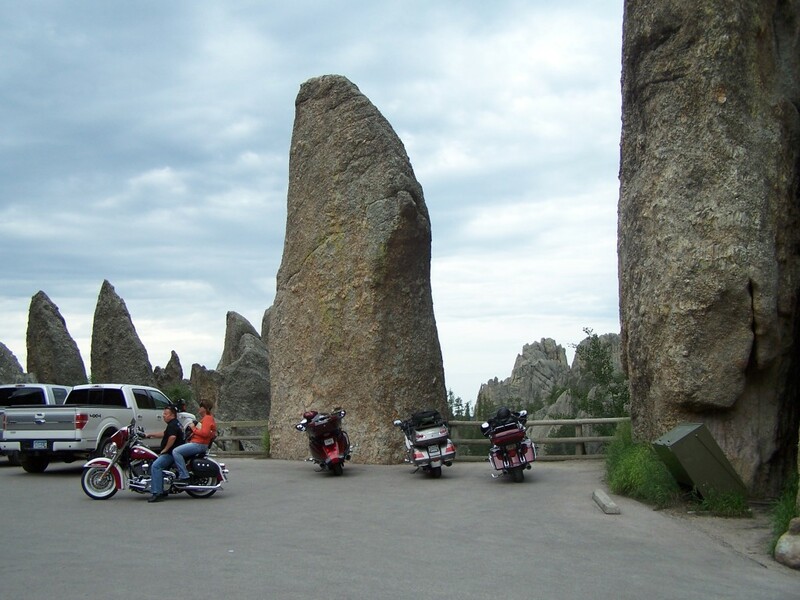 Needles Highway is a must ride if you are in the area. 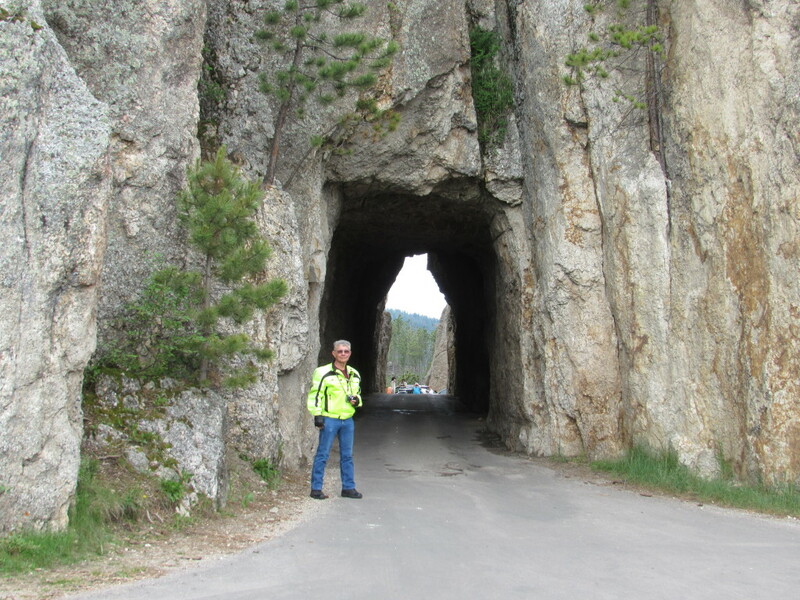 Tunnel on Needles Highway. Photo by Larry A. Waiting to ride through tunnel on Iron Mountain Highway. Photo by Larry A. Normally, highway 16A is an easy ride, but today we got stuck behind a road striping truck and traveled about 10 mph for miles. This was not fun on a bike. Luckily we were allowed to pass before we rode the scenic and fun part of the road. Mount Rushmore. Photo by Larry A. 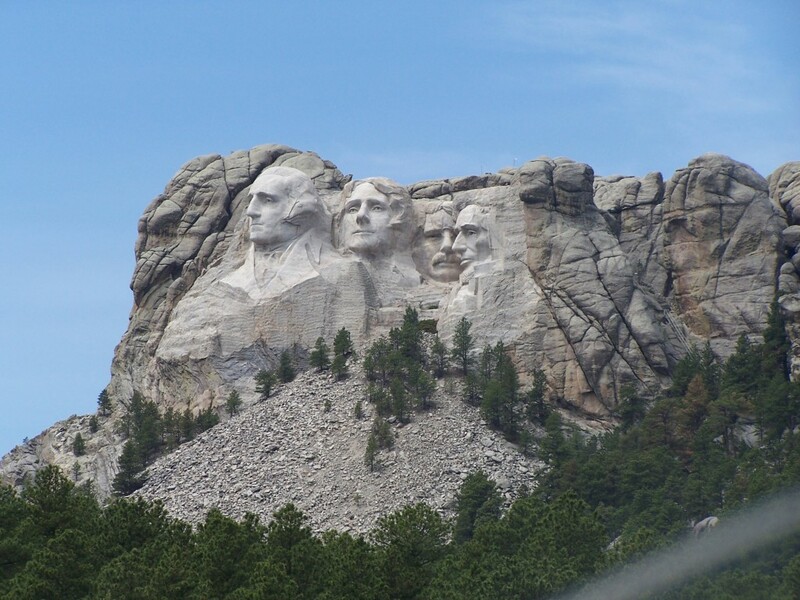 At Hwy 244 we took a left and rode past Mount Rushmore. We only stopped at a pullout to take pictures of Mount Rushmore. 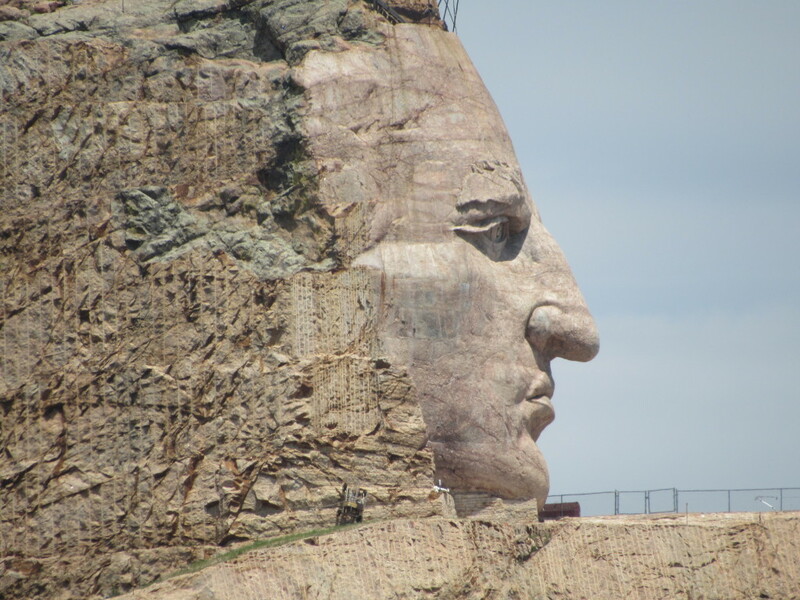 We continued down 244 to US-385 and headed south to Crazy Horse Monument for lunch. 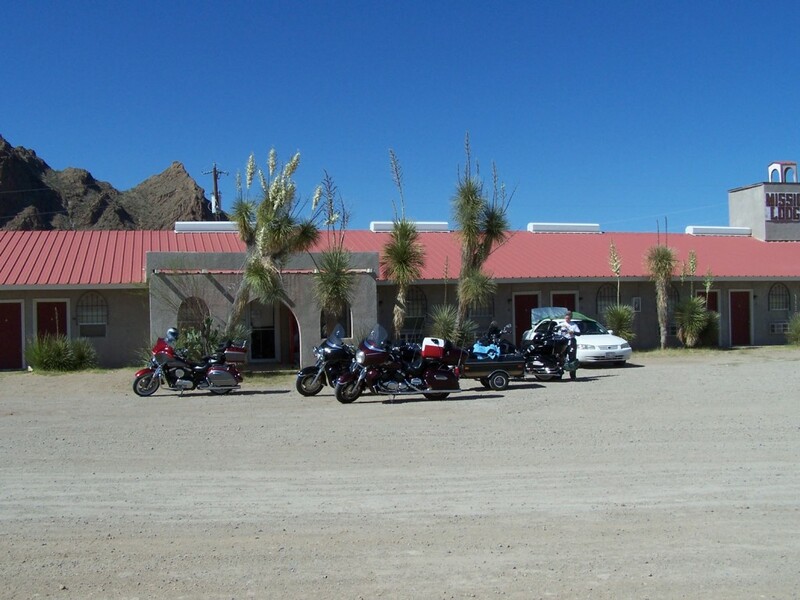 We have always stopped here and eaten lunch at the Laughing Water Restaurant. I always have my favorite the Tatanka (Buffalo) Stew. 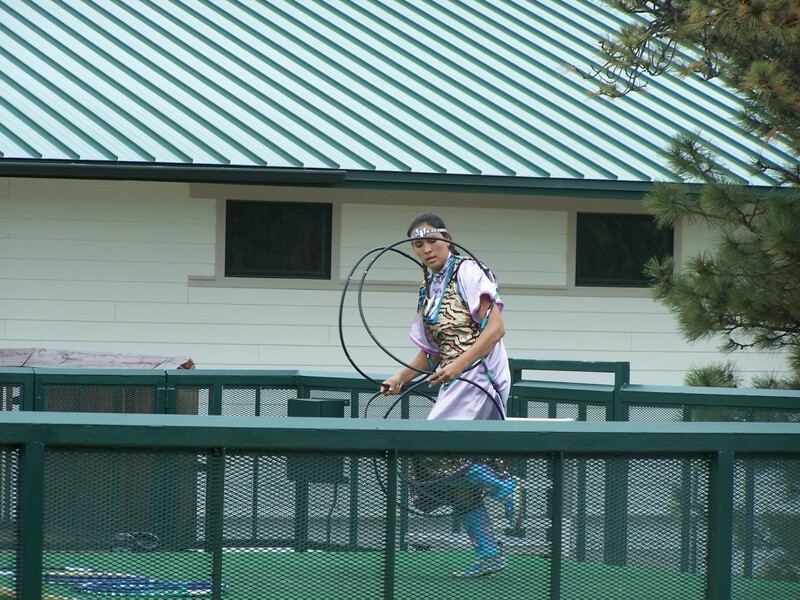 There are other native America dishes that are good that you may also want to try… Oh, and the coffee is free! 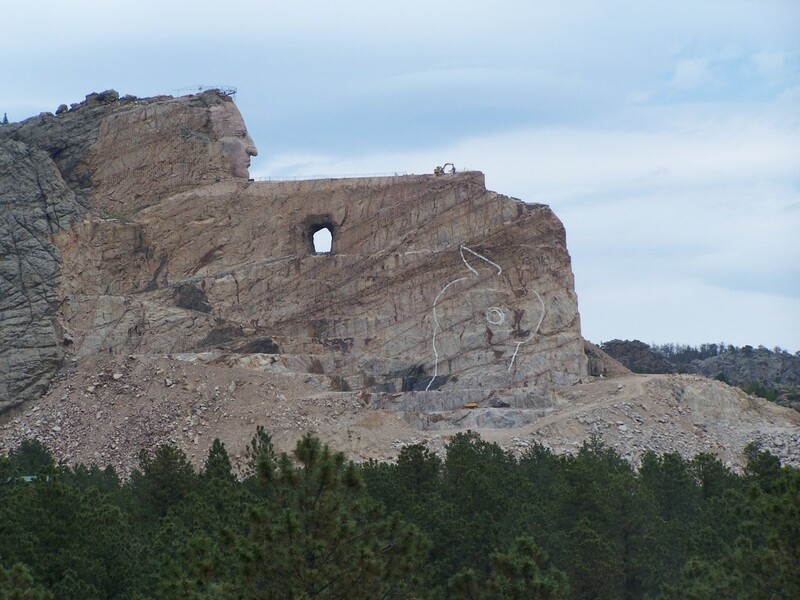 Crazy Horse Monument. Photo by Larry A. 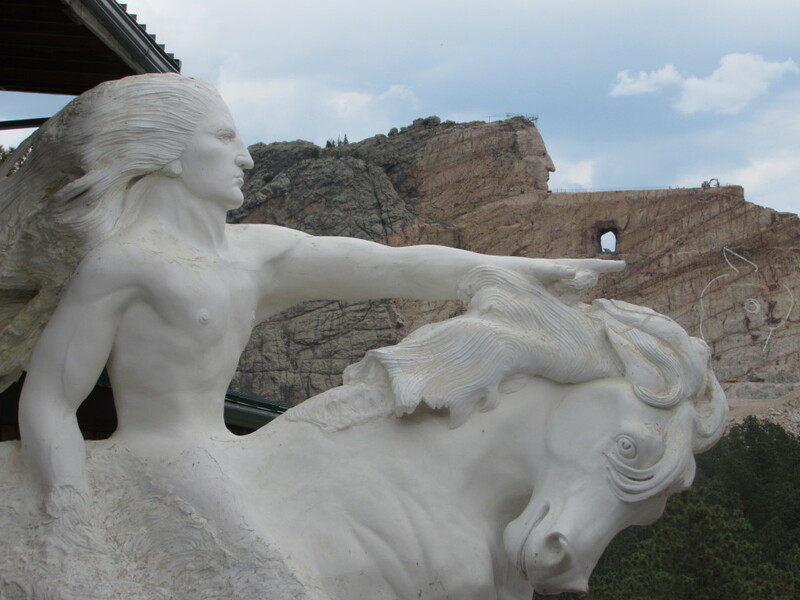 We spent some time walking the grounds at the Crazy Horse Visitor’s Center and taking pictures of the current status of the Crazy Horse Monument. I was first here 48 years ago. 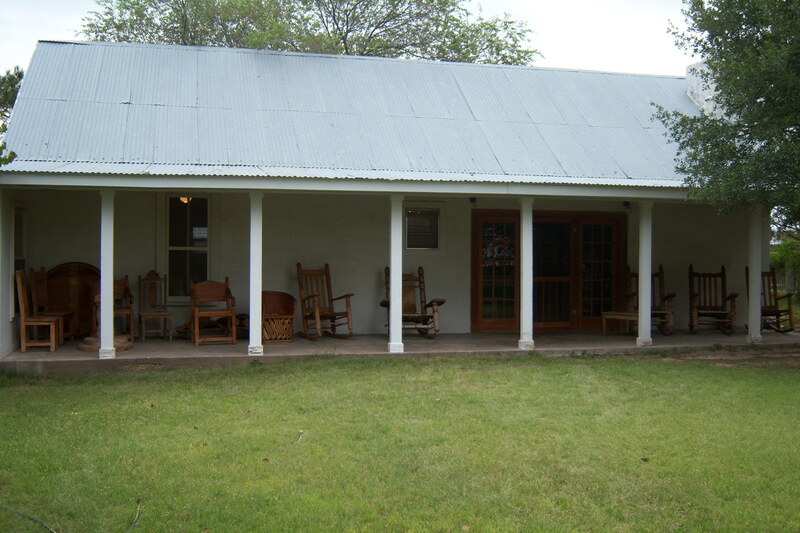 There has been a lot of progress made since that time, but they have a really long way to go before it is complete. The monument was started in 1948 by Polish-American sculptor Korczak Ziolkowski. 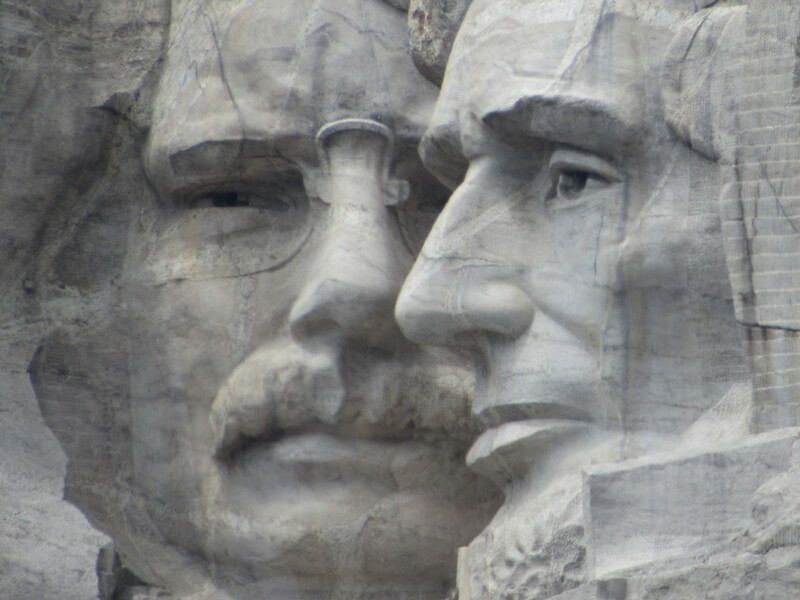 Ziolkowski worked on the carving until his death in 1982 at age 74. His family now carries on the project. One of the reasons I like visiting here, and try to support their efforts, is the memorial is a non-profit and receives no federal or state funding. 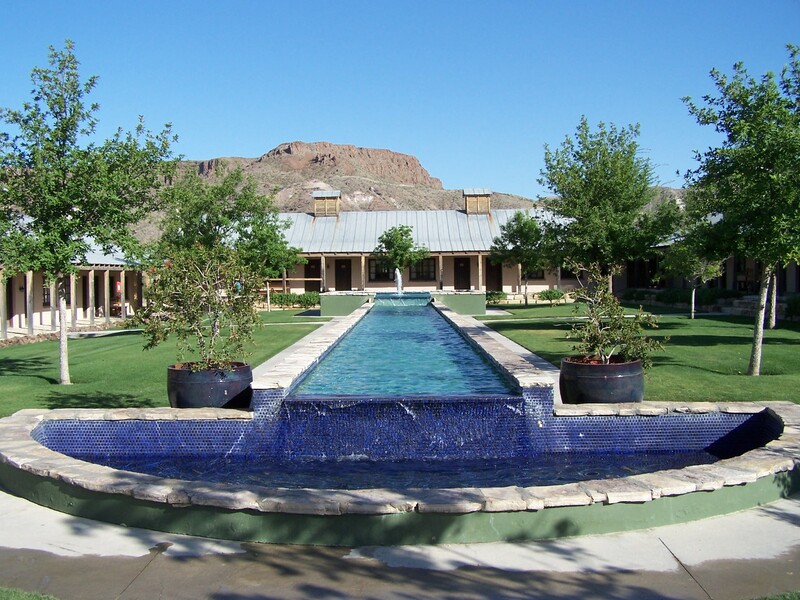 The Foundation charges fees for its visitor centers and earns revenue from its gift shops. Ziolkowski was offered $10 million for the project from the federal government, but he turned the offer down. 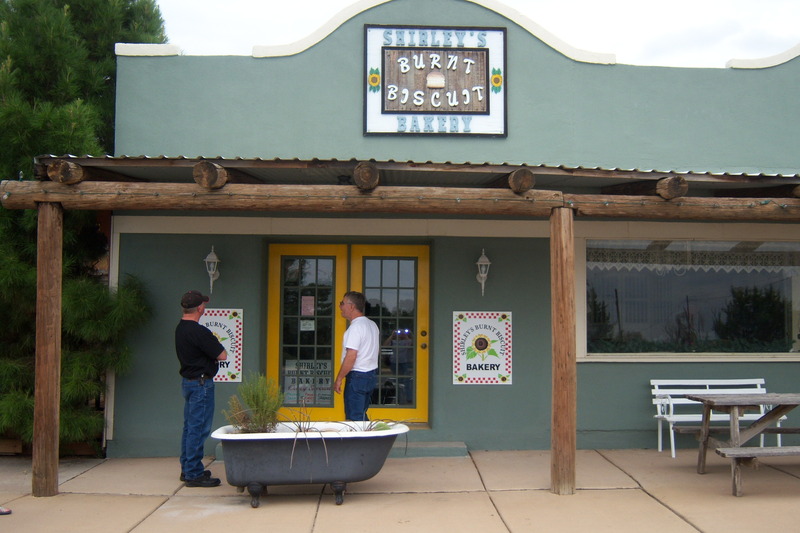 So, when in the area, stop by to give them a little support and enjoy the fruits of their efforts, learn about the project and the history of Crazy Horse and the Native America tribes he led. 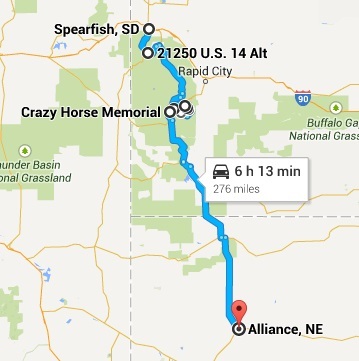 From Crazy Horse Memorial we headed south on US-385 to Alliance, Nebraska, our home away from home for the night. 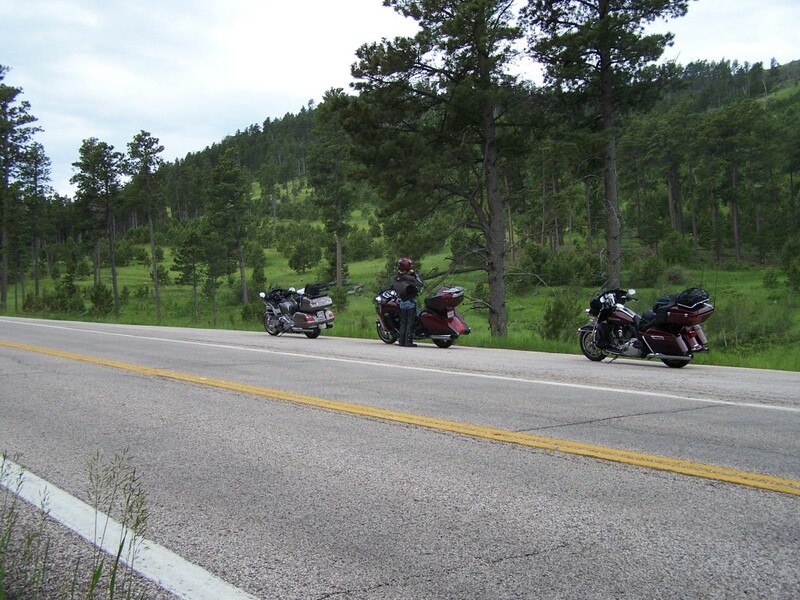 The ride is scenic starting with mountains covered in Ponderosa pines. The further south we rode the terrain started to flatten until it was more rolling hills with the pines becoming sparser. Further south from Hot Springs, SD the terrain pines were few and far between where we were seeing nice farm and ranch land. 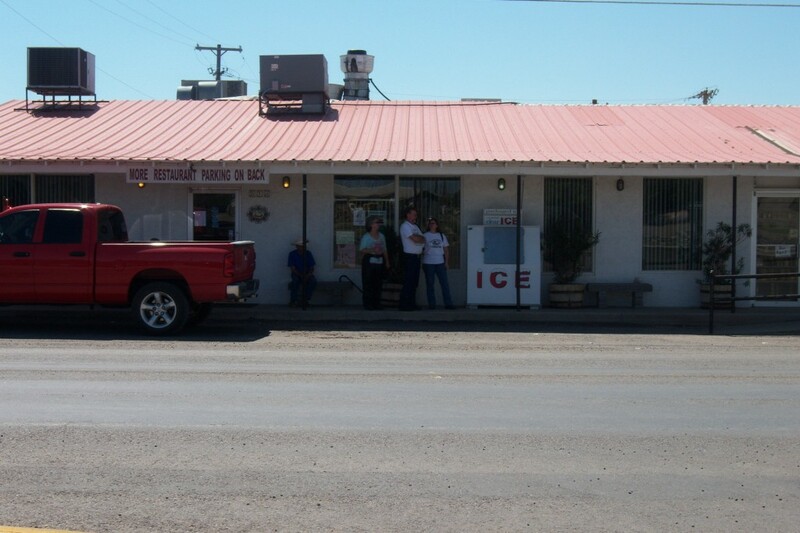 There are nice small towns with feed lots that were becoming more common. We were in cattle country. Mileage wise it was a short ride but, we made many stops to see attractions that made for a longer day. It was fun and so we settled in and took it easy getting ready for tomorrow. This was in the local newspaper “The Williamson County Sun”. They run stories under the heading “Yesteryears” of news from past years that happened on the day of publishing. For a motorcyclist of today, this is just too funny to not share. The hazards of riding a motorcycle 100 tears ago.